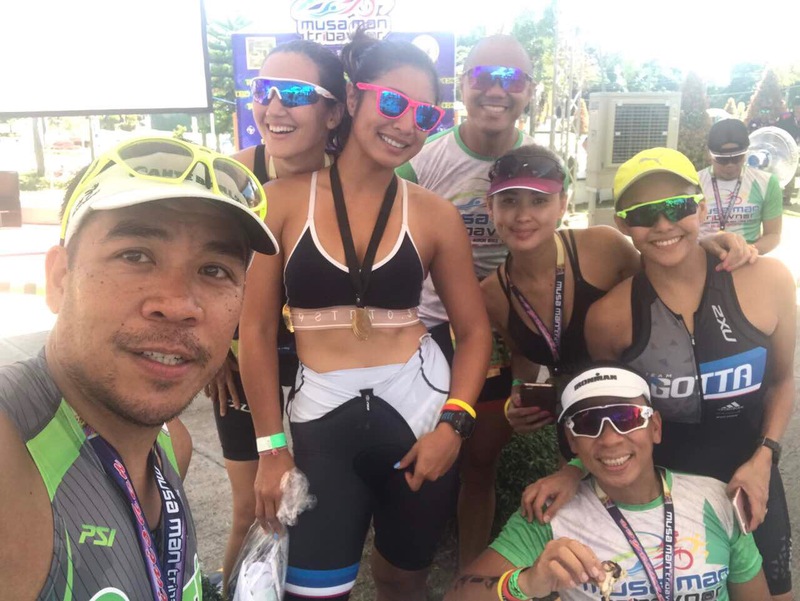 A couple of months ago, we got an invite to race the inaugural Olympic Distance Triathlon in Davao, the Musaman TriDavNor, that was set to happen on the last weekend of June 2017. We happily accepted the invitation, and looked forward to the racecation. 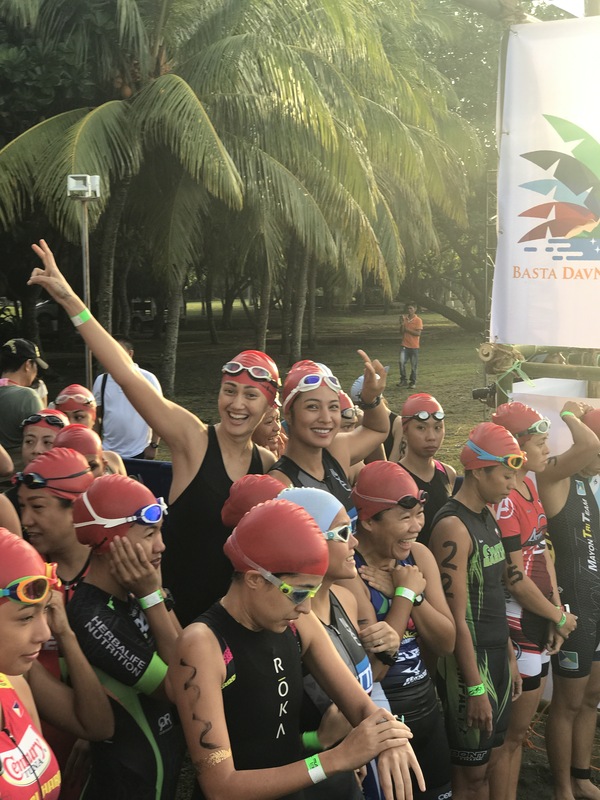 But a sudden change in climate in Mindanao made us a bit apprehensive of still doing the race. A lot of people backed out, yet also plenty were still trying to get in. 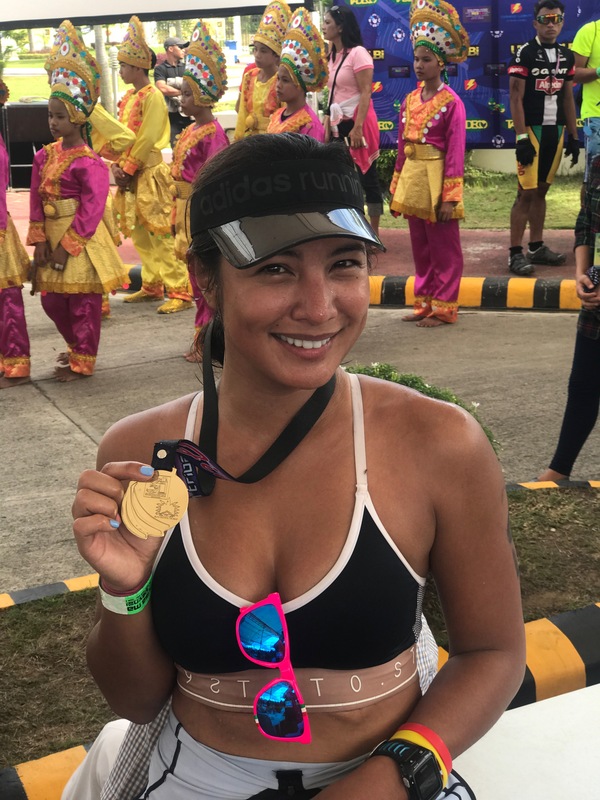 Mindanao was in Martial Law, there were news of rebellion just near the race venue. We were quite scared, but the organizers assured us that they will beef up security and make sure of our safety. 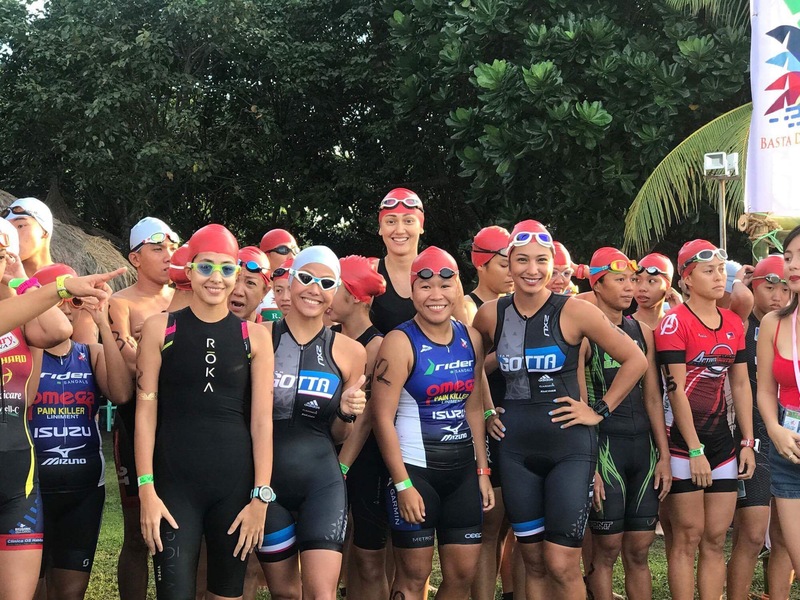 So we still flew out of Manila and into Davao, got greeted by police escorts and off to Tagum we went to stay in Hijo Resorts where the swim start and first transition would take place. They say before the race didn’t feel like one at all. When we biked out to register at the sports complex, I got to appreciate the beautiful palm tree lined road that we would pass on race day. The roads were smooth and flat – it was so beautiful. 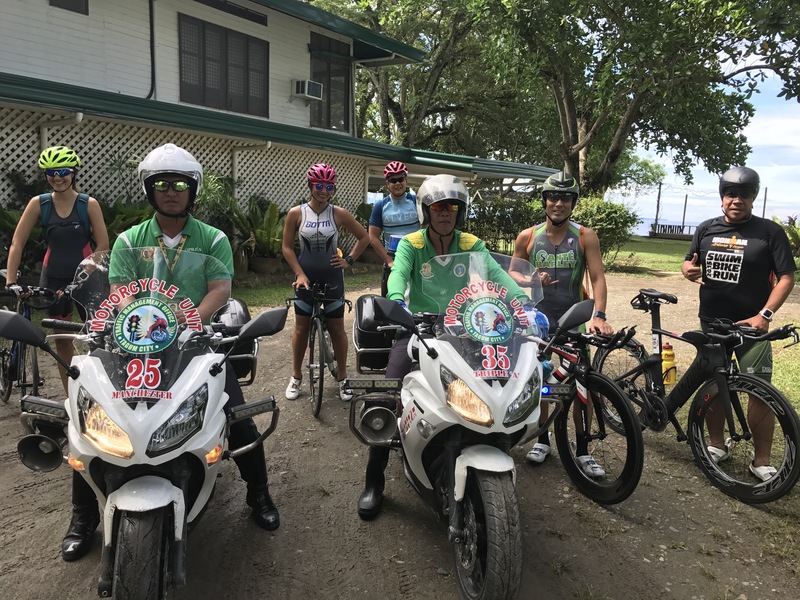 Of course, it was also my first time to have police escorts as I rode out on the road – an extra precaution that the organizers gave us to entail our safety. 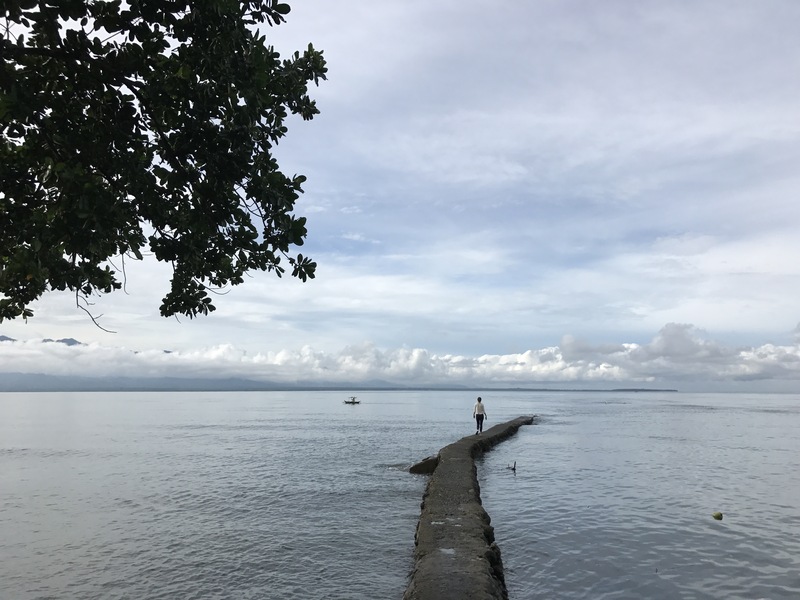 It certainly felt more like a vacation as we just relaxed by the pool and got fed so much local food – fresh seafood, and ulam’s and delicacies from the different tribes of Davao.. everything was so delicious it was hard to stop eating. Race day came, and the elites were to start first, then the men, followed by the women 10 mins after the first group. To say I was nervous was an understatement, but good thing I was able to shake off my nerves after spotting some friends cheering us on. It was a fast 1.5km point to point swim in clear flat waters and I was quite surprised to have come out of the water in 31 mins. Having zero swim background, this was very fast for me. I was elated to see my time and went on to transition to my bike ride. 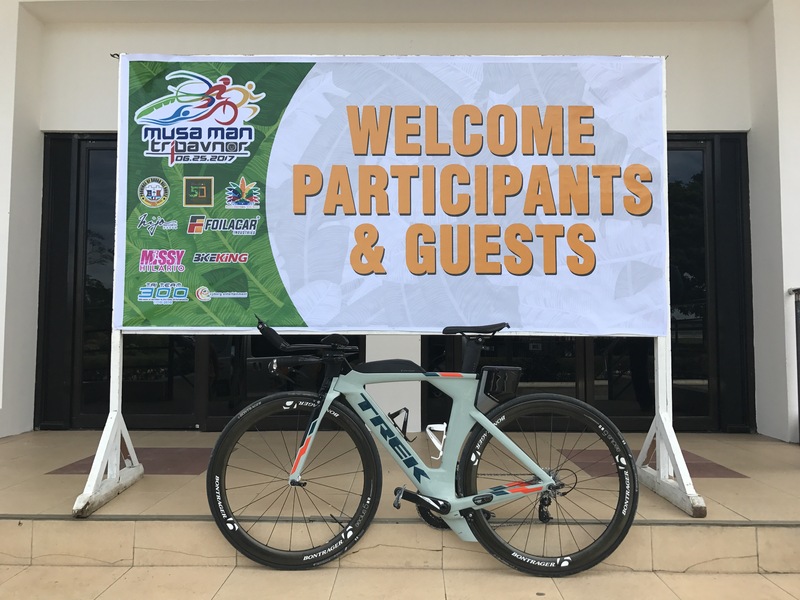 The 40km bike course ran through the palm tree lines roads, and on to a banana plantation til we reached the sports complex where the next transition was. The turns were quite tight so I found myself overshooting and having had to make a u-turn.. I tried to make up for the time lost. My nutrition plan was out the door when I realized my gels dropped from my bento box when I hit a bump on the road so I had to make do with what energy I had left. All in all that bike ride was amazing and I still hit a personal best for that 40km stretch. As I came onto the flats as a pancake run, the temperatures have risen to 35° and all I wanted was to run as fast as my tired legs could take me. I didn’t see a water station until 3km in so I found myself suffering in the heat. 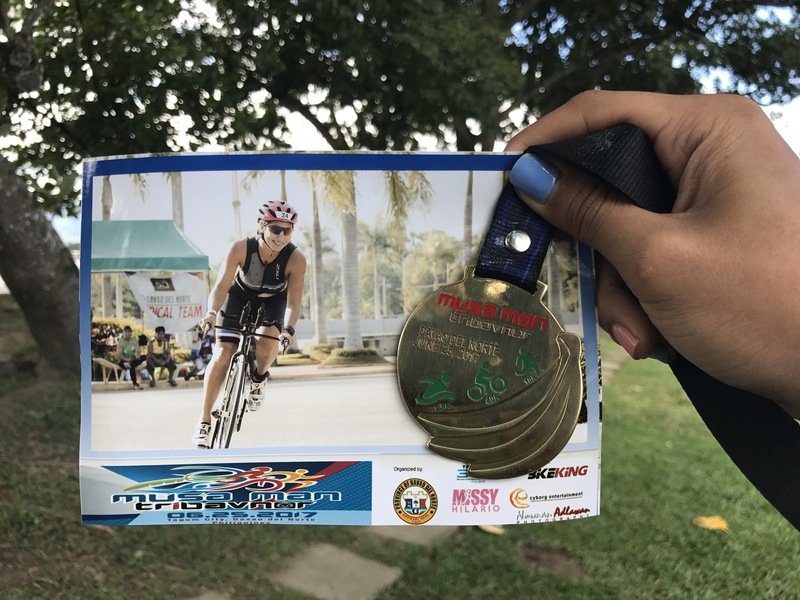 On the last km stretch of the run, I found myself running along 3 male triathletes, one of them stayed by my side and paced with me til the finish line. Grateful for that last push to the finish. To have finished under 3 hours for the second time in a row at an Olympic Distance Triathlon is a huge achievement for me, especially since I haven’t even been doing this for a year yet. All the training hours certainly pay off. All in all, Musaman is a beautiful and memorable race and I can’t wait to do it all over again next year. I really like you . Godbless and continue to be wellness advocate.